Jamaica Blue Myer Centre’s New Winter Menu! The weather might be cooling down but it sure it heating up in the kitchen at Jamaica Blue. With the launch of their new winter menu, they’ve added some classics, some fun twists, and some pleasantly surprising combinations for you to try! Adelaide Food Central got first look at this incredible new menu. Check out our thoughts below! 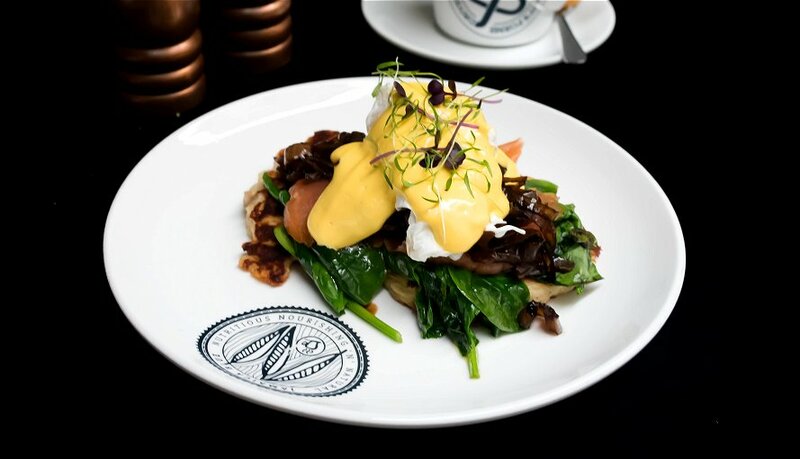 Breakfast Potato Hash – Rich gooey soft poached eggs top perfectly cooked bacon for the ultimate breakfast combo. 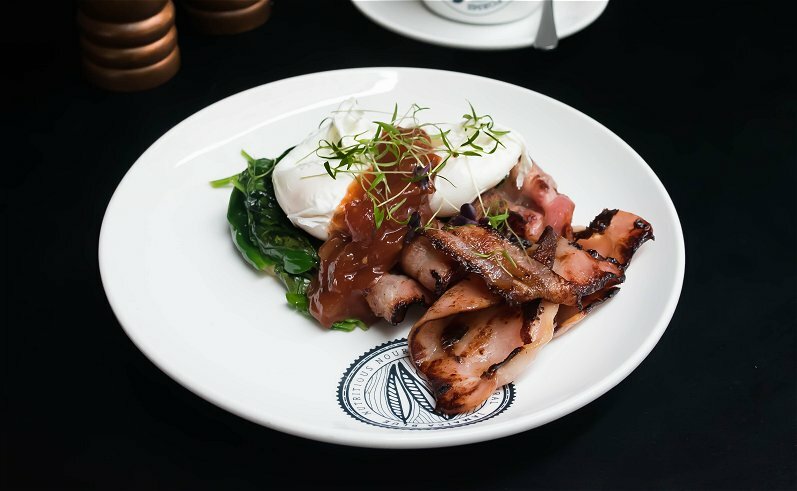 Served with a delicious sweet tomato chutney and spinach all over a pancake textured potato hash, this incredible mixture of brekkie foods is one to try! 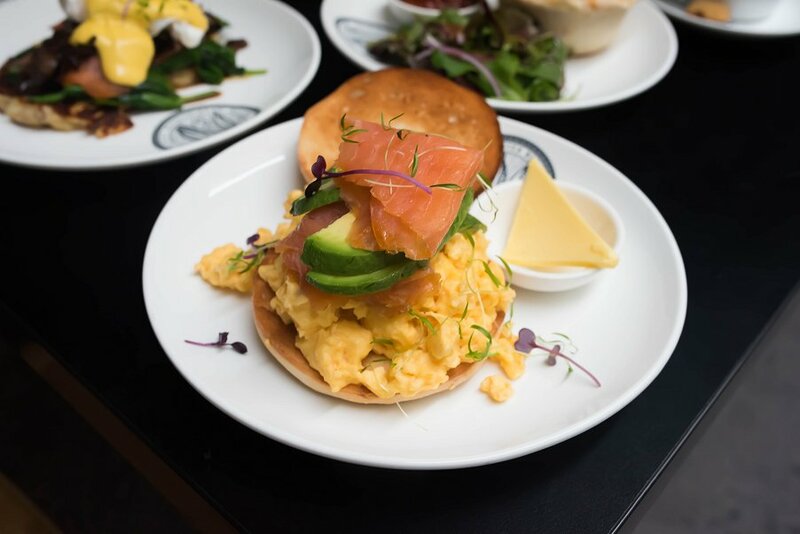 Salmon & Scrambled Egg Bagel – With perfectly seasoned egg, this scramble masterpiece piles on top of a bagel NYC would be proud of. With silky salmon that heightens the dish to new levels and the creamiest of avocado, this breakfast perfection is the foodie Instagrammers dream. Chicken and Buttermilk Pie – This winter warmer reminds you of mums cooking. With flavours of buttermilk that carry throughout the pie, this mash of crunchy chicken kernels and buttery pastry makes for a delicious dish. Smoked Salmon Potato Cakes – Crispy potato cakes are topped with beautiful smoked salmon, sweet caramelised onions and drizzled with a hollandaise sauce! This breakfast item is combining a few crazy ideas here, but it works, and very well I might add. 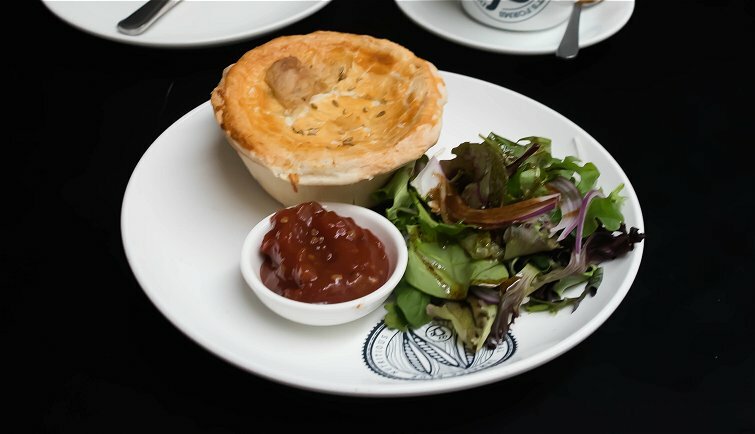 Pork and Fennel Pie – for a pork pie, this one takes the cake. A lovely textured pink pork is mixed with fresh minty fennel encased in soft pastry that gives Balfour’s a run for their money. Caesar Salad – This classic salad has been prepared to perfection by Jamaica Blue. 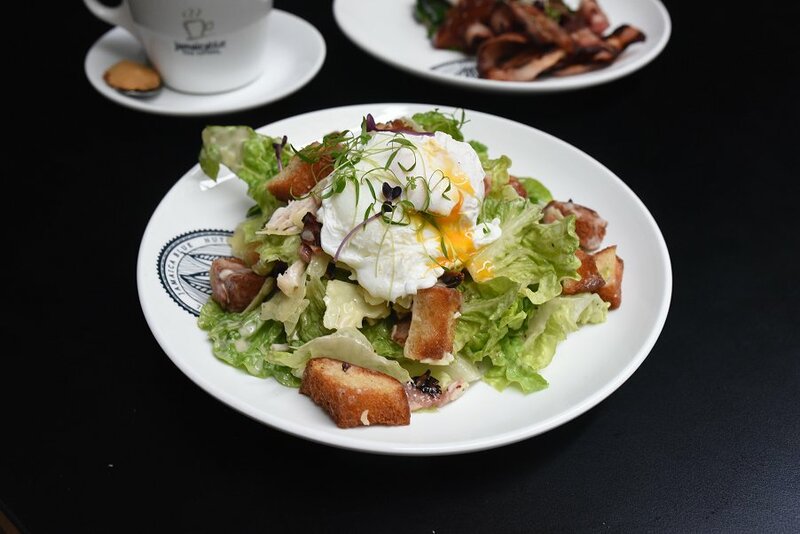 Warm grilled chicken tossed with crunchy homemade croutons, egg, crispy bacon and sharp parmesan delivers a salad any eater will enjoy. The amazing balance of salad to toppings mixes a different flavour ratio in with every bite, and is topped with a gorgeous Caesar dressing. Looks like another winner for the Jamaica Blue Myer Centre. Voted the best Jamaica Blue store in the world and finalist for a number of other awards, it’s clear that Mona Lamshed and her team are passionate about what they do. Come for a coffee or stay for a meal. You won’t regret it!